Sound Transit and the Port of Seattle are working together to extend the Link light rail service to Sea-Tac International Airport. The Port’s roadway construction project will make it easier to get in and out of the airport and will provide space for Sound Transit’s Link light rail trains. A new return-to-terminal loop will be located near South 160th Street, with the old loop being demolished to make way for the light rail station. The light rail station will also connect to a new pedestrian bridge over International Boulevard, which will strengthen the connection between the airport and the surrounding SeaTac community. Apex is currently providing construction surveying services for two construction contracts at Seattle-Tacoma International Airport. 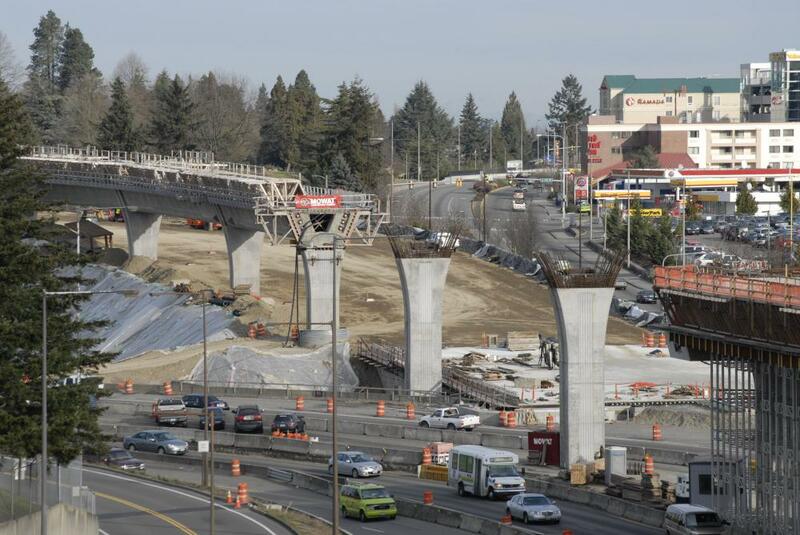 Apex is currently providing construction staking for Mowat Construction Co. for the Link Light Rail aerial track and roadway improvement and the new SeaTac Aerial Link Station.